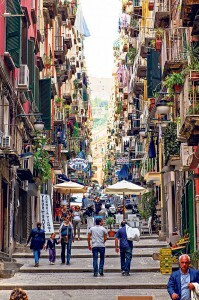 Vedi Napoli E Poi Mori – see Naples, Italy and die, the saying goes, emphasizing this crazy city’s beauty and charm. Well, I’ve just returned from a trip to Naples and I don’t want to die just yet, I want to live to see it again. It all started while I was hunting for city break ideas. 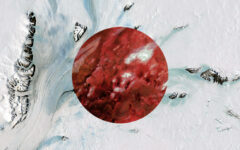 I was looking for anything in Europe, preferably some place with mild weather for this period of the year – mid March. 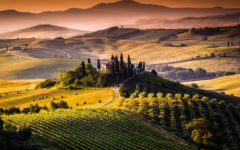 As this came as a sudden urge to travel and get away for a few days, I didn’t want to spend too much on this trip as summer’s rapidly approaching and I have too many places to go, summer’s pretty amazing in Europe. 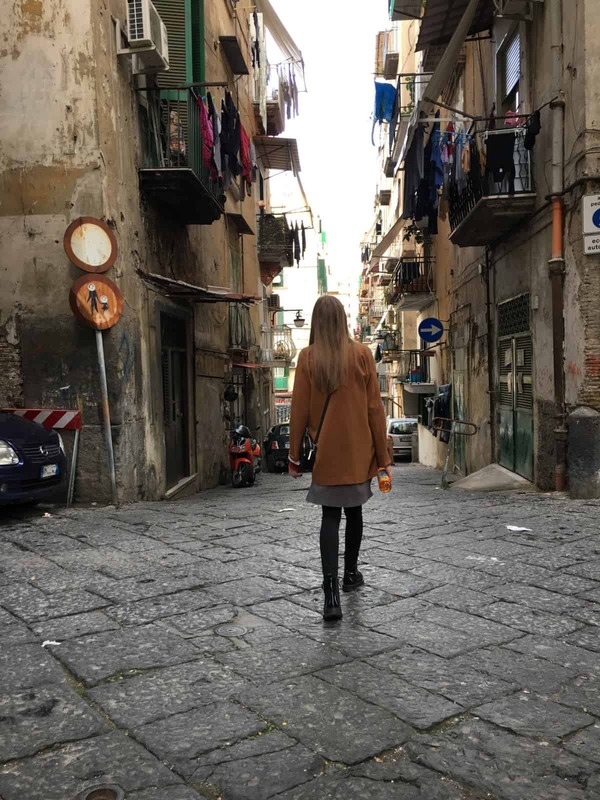 As I was browsing through flights tickets, arranging them by lowest fare and up, I stumbled upon Naples, Italy. There were some other interesting destinations, but I chose the city at the foot of Vesuvius, at first simply because it was the single one in the list I hadn’t visited. A quick image search returned a beautiful mess of different photos from the city with its narrow busy streets. I just felt it, and I bet you know the feeling. Watching those photos instantly made me feel Naples’ vibe even if I had no idea what it’s going to be like (but I was right about it). Five minutes later I was all booked and stared the search for a hotel room or an apartment on AirBnb (if you don’t have an account, follow the link for a cool discount). I finally booked a room in a small B&B Hotel on Corso Umberto mainly because its position (close to the center) and located on a main road, based on my impression that Naples might be an unsafe place with mafia and all that, but I’ll get back to that later on. Accomodation suggestions based on the type of traveller you are. If you’re planning a short stay in Naples (2-3) days, I suggest you get accommodation in the historical center area – you can search for rooms on Via Duomo or Corso Umberto, these are also fairly close to the Central Station – Piazza Garibaldi, within walking distance, 10-15 minutes by foot. Via Duomo is filled with museums and you’ll find most of them here or on the streets adjacent to it, as well as a couple of churches and cathedrals, including Naples Cathedral (Duomo di San Gennaro). 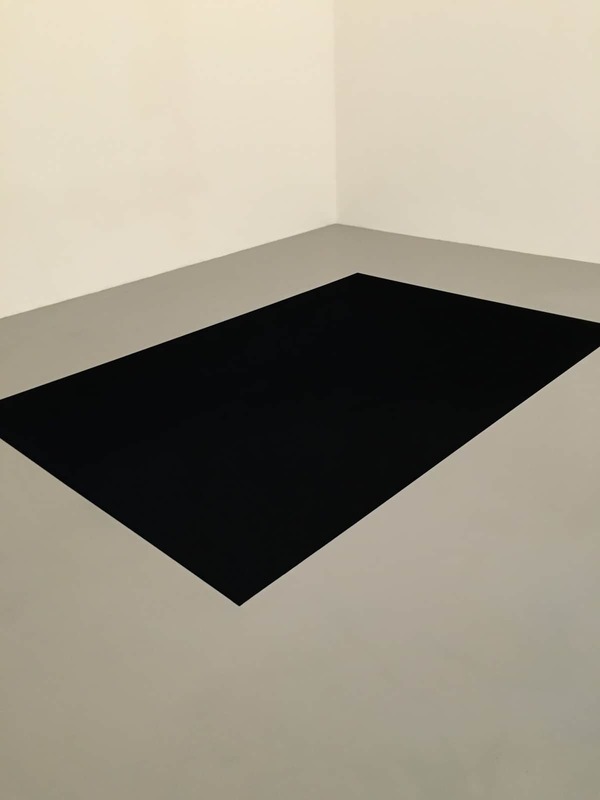 Museums-wise I’ve only visited Madre Museum, Museo d’Arte Contemporanea Donnaregina, Naples contemporary arts museum and it was amazing! If you’re into arts or design or if you simply love beautiful stuff, pay Madre a visit. The entrance/admission fee is only 3 euros if you’re under 25 years old or 7 euros above that. Being over 25 and too honest, I said I’m over that age even when the guy at the ticket desk suggested I look under 25. No ID was checked so I could have gone for it – so here’s a small tip for your visit to madre. But even a better tip, go visit it on Mondays, there’s no entrance / admission fee. Once you’re done with indoor visiting (museums and cathedrals), head to the historical center, that’s left of Via Duomo (as your looking on a map). 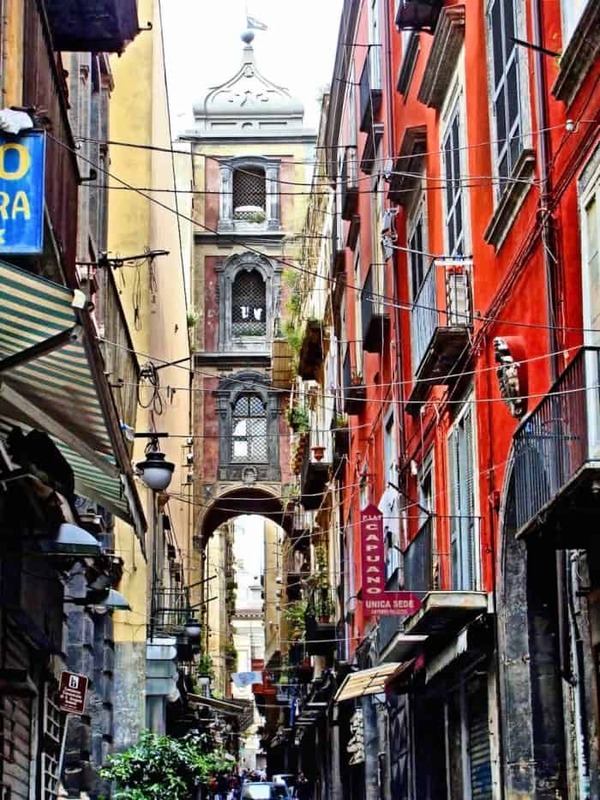 Just wander through the narrow streets and uncover the best of Naples. If you’re on Via Benedetto Croce, make a stop in Piazza San Domenico Maggiore, especially if it’s the evening. It’s a rather small square filled with groups of students and a few bars and terraces. I loved this square and found myself going back to it almost every evening during my stay in Napoli. Grab a beer, make it a Nastro Azzuro while you’re at it, it’s Italy’s best beer and their national pride. Close enough and just as beautiful is Piazza V. Bellini that’s actually a very small park with many bars and terraces. All these small squares have a unique vibe and beauty you won’t find anywhere else, it’s just something that belongs to Naples. 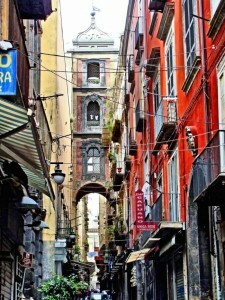 Walking the narrow streets of the Spanish Quarters, Naples, Italy. 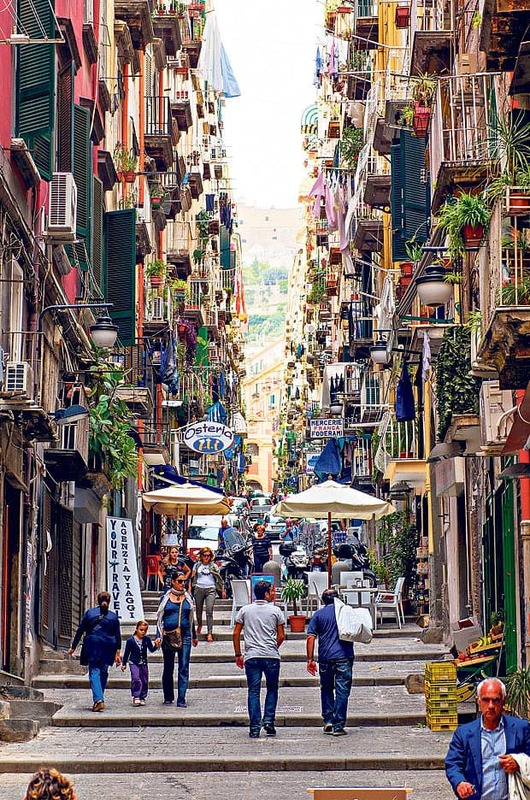 It might not be the prettiest street but just wander through these alleys and you’ll get the best of Naples! Another great area to stay is the Spanish Quarters (Quartieri Spagnoli), and I consider this to be the true hart of Naples. These narrow streets, averaging a width of 3 meters are just plain crazy but damn beautiful and passionate. This is a warning, do not wear any kind of earbuds or headphones and keep your eyes and ears open, a scooter might come after any corner, even if it’s a street that won’t fit 2 people walking next to each other. They seem to drive recklessly, but if you respect them and you make yourself seen, they won’t run you over. Just take extra care if you’re visiting with your kids. Just get lost in these narrow streets of the Spanish Quarters and I can assure you’ll get to see and feel the best of Naples! Having booked my hotel via booking.com, they offered a nice city guide that can be accessed via the smartphone as well. As I’m not really into touristy places, I only used it as a map of naples – it works in offline mode as well. 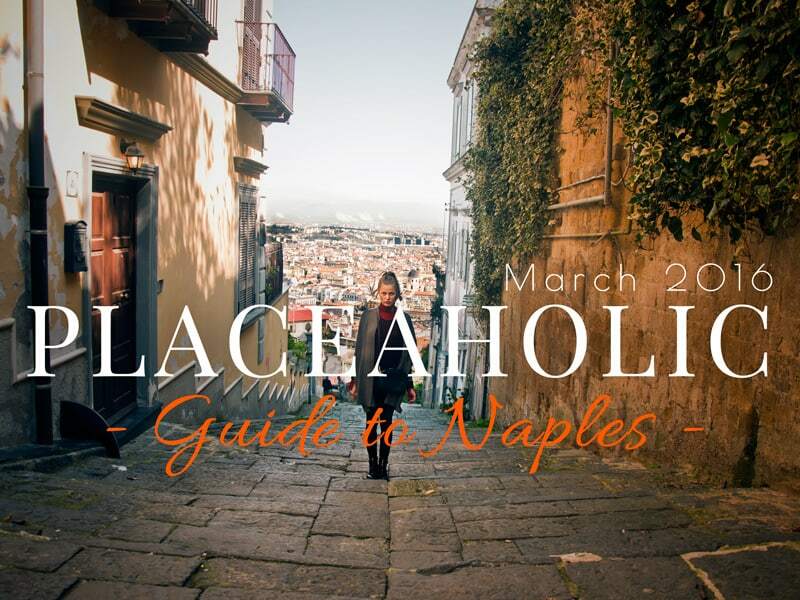 But while browsing Naples City Secrets I came across what was listed as Panoramic Stairways and I instantly decided I should go for it as I’m a big fan of nice panoramic views. I followed the map, but I must warn you, it won’t be too easy to find the Pedamentina a San Martino, Naples former pedestrian paths that go up the hill, connecting its residents to the lower, central areas. The stairs have over 414 steps and were built in the 15th century. It’s a rather easy path and you won’t have any problem walking up the hill, but you can also choose to walk them downhill. 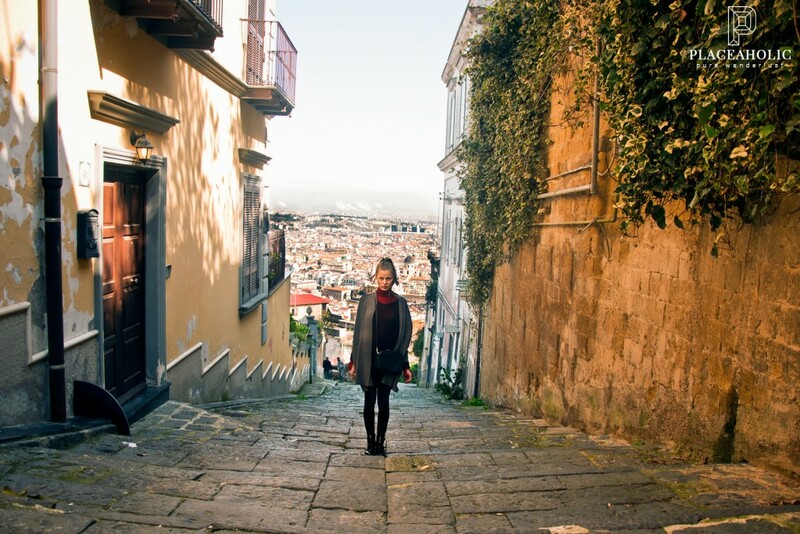 Walking up the Panoramic Stairways in Naples offers stunning views over the city. There are two ways. I decided to take the climb from Corso Vittorio Emanuele, close to the intersection with Vico Trinita delle Monache – pay attention or you might just miss them, as I did at first and had to walk back. Just look for some old and wide stairs that don’t go up too steep. Also, via Pedamentina a San Martino is a pedestrian street and you’ll love the quiet walk and won’t have to worry about scooter cutting your way as in the lower parts of the city. If you don’t want to take the stairs up, you can go to the end of Via Tito Angelini for a nice view of Naples and then go down this old and amazing path. You’ll feel like you’ve entered in a new dimension, trust me, you’ll love it! Spanish Quarters was my first stop, and after aimlessly wandering through it, I started looking for an authentic place to eat Pizza in the place and from the people that invented it. No, i didn’t google any restaurant and didn’t check any tripadvisor forum for reviews. I looked left and right and tried to see where the locals stopped to grab a bite. So I entered this very simple and small pizzeria after circling it a few times. It had just a bunch of tables (there were 4 if I remember correctly), sharing the room with the kitchen. We sat down and received a very basic menu listing around 15 types of pizzas. The waiter recommended us the house wine which was amazingly good! I’m not a wine drinker, but my God that wine was great! Pizza was great too, just don’t expect it to be anything like pizza in your country! The bill? Two normal sized pizzas and 1l house wine – 11 euros. Yeap, Naples is cheap! If you’re more into luxury, you should opt for a nice hotel room or a cool apartment in Santa Lucia, and you might also get a room with a nice sea view over the Gulf of Naples. You’ll be close to Castel dell’Ovo and the yacht port that’s filled with classy and luxurious restaurants. You can get there by walking the seafront street filled with even more restaurants. A crowded colorful street, shot on Via Chiaia in Naples, Italy. Concerning food prices, this area is a bit more expensive than the Historical Center or the Spanish Quarters, for no real reason I’d say. Not in terms of food quality and taste, not in terms of feeling the city vibe or seeing/eating like the locals. This area is more for people that come here on business purposes. Santa Lucia is pretty quiet compared to most of Naples. Close enough is Piazza del Plebiscito, Naples largest public square that looks a lot like Piazza San Pietro from Vatican/Rome. Right after it, there’s Via Chiaia, a pedestrian street worth walking on. Wandering through it you might find some other picturesque streets and alleys, but I’ll let you discover that for yourself. I already knew that I needed to take the Circumvesuviana train from the central train station. There’s a separate ticket desk for each company, and you’ll find tickets for Circumvesuviana line at floor -1. There’s an hourly train to Sorrento that takes around 50 minutes to get there and costs 3.5 euros. Once you’re there, you’ll find buses that will take you anywhere on the Amalfi Coast, including Positano, right outside the train station. There’s an hourly train to Sorrento. It takes around 50 minutes costs 3.5 euros. Once you’re there, you’ll find buses to Amalfi Coast, including Positano, right outside the train station. The bus ride from Sorrento to Positano costs 1.8 euros. If you’re not afraid of heights, take a seat on the right side of the bus for splendid views of the coastline and the Tyrrheninan Sea. If you easily get car sick, take note, it’s a winding road to Positano or Amalfi. Once you get in Positano, the bus will leave you at the top of the hill and you’ll have to walk down. Remember this is the place you’ll have to get back to in order to hop in for Sorrento. There’s a schedule sign right in the station where you’ll hop off, take a photo of it with your smartphone so you’ll have it later when you’re planning your way back. The buses can run late, so don’t take that schedule to serious. You can take the one way street down to the beach, on Viale Pasitea. 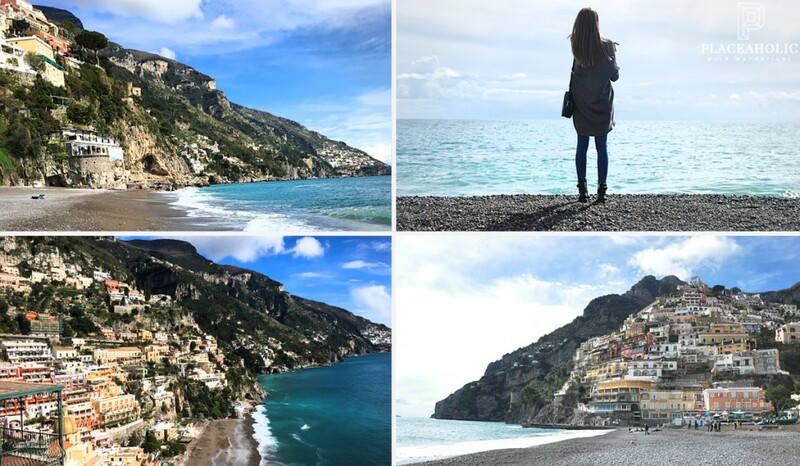 It’s a really pleasant walk that offers great views of Positano, its houses and the surroundings. If you want to get to the beach faster, you can take the stairs when you see them. There are many alleys (stairs) that you can go down on, but take note – not all of them lead to the center, some of them will lead you to a gate, whether it’s a house or private property. I had to learn this the hard way when getting back in a rush to catch the bus, climbing 646 steps (as my Apple Health app noted). So if you can get a map of all these Positano alleys it will surely come in handy. But my advice is to just walk slowly down the main street and enjoy everything you see, this small town is just wonderful, and you’ll find picturesque places at every corner. I finally reached the beach, which is mostly stones and some sand and only dipped my feet in the sea, as it was still early March. I would’ve stayed on the beach all day long if I weren’t to get back to Sorrento the same day. Going back up to the bus station sure is a challenge, especially if you’ve got a bus to catch, like I had. And as previously noted, I only took shortcuts. Shortcuts in Positano = stairways. Alternatively, there’s a local bus station near Chiesa di Santa Maria Assunta, the biggest Chapel around, that will take you up the hill. Before getting there I pretty much became obsessed with this due to everybody telling me, including internet forums (tripadvisor as well) that Naples is not a safe city. Let me get one thing straight: it’s safe! Regarding the city’s garbage crisis, that has been fixed. It’s not the cleanest city in Europe, but not the dirtiest either. I took some measures in order to make sure everything was going to be fine, and that’s exactly how it was. What measures? Just common sense people, but here they are. Street from Napels old town. This street is filled with shops selling handmade statues of different sizes, from 3 cm to 2 meters. I left my passport and my day to day wallet at the hotel in the safe. I had this cool paper wallet in which I put around 50-100 euros each day before leaving the hotel. No I didn’t spend that much on a daily basis, have I mentioned how cheap Naples is? Getting back to the train ride, the train itself is not the cleanest one I’ve ridden on, but it’s not that bad after all. There are some people that might look suspicious and you might encounter some beggars in the train, as it makes around 25-30 stops from Naples to Sorrento, but the majority of people in the train are normal people on their daily commute. There’s nothing to be afraid of as long as you keep your common sense and an eye on your belongings. I walked the narrow streets of the Spanish Quarter with my girlfriend and we didn’t feel in danger at any time. The same goes for the historical center (Centro Storico) in which we spent almost every evening and got back to the hotel by foot at around 11 pm. There are many policeman patrolling the streets (and even the army “Operazione Strade sicure”) if that can make you feel any better about it. But again, don’t worry too much, it will spoil all of this amazing city’s beauty. I constantly kept on checking the weather in Naples with a few days prior to getting there and it showed rain rain rain rain. I wasn’t happy at all. It ended up raining one day and one evening during my 5 days stay. We decided to get an umbrella from the people selling them on the street when it started raining. It costed us 5 euros but you can get them for 3 euros in the shops. I was ready to negotiate the price before asking for one but I didn’t expect it to be this cheap. I know I did the same in Rome or Paris or Bologna and the asking price was around 15 euros. Again, Naples in not an expensive city! As the second day started raining we decided to visit some museums, but after visiting one, just wandering through the historical center for others, we noticed how charming Naples is during rain and we just kept on going and stayed outside. There’s a movie scene happening on every street or alley corner, and sometimes you’re a part of it! I was sitting at a small restaurant with 3 tables outside on a narrow alley in the Via Chiaia area, waiting for my seafood pasta. Suddenly I heard a woman shouting something from the balcony of the building across the alley. I can understand some Italian, but it all happened so fast and the next thing I know I was telling the waiter the women across the street, on the balcony wants to order something. It was a funny moment, but that’s the way the Neapolitans do business. There’s a lot of food delivery going on in Naples, but it’s all concentrated on small areas. With another occasion I saw a waiter from a coffee place delivering coffee to all the surrounding shops. I like this and I like it a lot! All the small shop owners or employees stand in the door of the shop or by the window, taking the street pulse, seeing who’s passing by, who needs what or how’s Giovanni’s son from the 3rd floor recovering after his football injury. Have I mentioned fruits and seafood? Neapolitans must be pretty healthy, as there’s a fruit stand every other 2 streets and they’re just filled with all kinds of fruits and vegetables. And they’re right where they are supposed to be – on the streets, not in supermarkets. Ask the waiter what’s on the menu before ordering anything to eat, it will add some spice and meaning to the plate you’re getting. I won’t talk about food though because I’m writing a review, not a book. I hope you catch my drift and I intentionally want to leave that aside and let you discover for yourself the entire galaxy of Neapolitan food. All I’m saying is they take it very seriously, so talk to them about it before ordering anything to eat, it will add some spice and meaning to the plate you’re ordering. This must be 5th Italian city I’m visiting, but leaving Rome aside, Naples is absolutely real-life Italy, unspoiled by modern times and globalization. Its long history can be seen in the decaying buildings all over the city but I just can’t imagine Naples with all the buildings renovated. No way! That would be an entirely different place. If you’re a photographer, I’m telling you won’t have time for yourself, so make sure to bring your largest memory card and prepare yourself to live through your photo lenses. If there’s anything that crazy and romantic can describe, than it must be Naples. It is like you leave all your senses take a roller coaster ride. NNaples is a city full of passion, a city filled with history that you can actually feel, not only see. You can feel its past and current struggle, it’s so alive and pumping it might take a little while but you Will fall in love with it if you’re ready to understand it. You won’t forget it. You won’t forget the feeling it gave you, cause that’s what traveling and falling in love with places is all about, right folks? Not the way a place looks, but the way a place makes you feel. If you get that, you’re a Placeaholic! I felt great in Naples! Very beautifully written piece concerning Naples. I look forward to visiting.